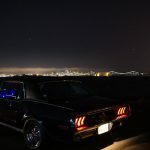 As you know, we sometimes feature unsung heroes of the automotive world and go “under the hood” of their auto business, so to speak. 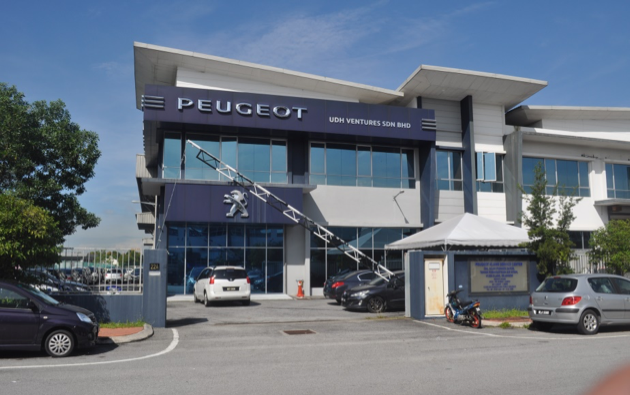 One such outfit is UDH Ventures Sdn Bhd in Klang, which services Peugeot vehicles. 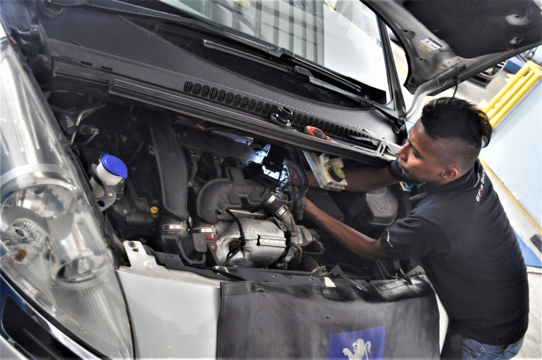 We spoke to Elbert Lee, the Service Manager, about how he runs the centre’s day-to-day operations and you’ll be surprised how the acronym UDH came about. A: Firstly, could you tell us what UDH stands for? We’re curious to know. E: Actually, UDH stands for ‘Under Da Hood’. The owners of UDH Ventures had a workshop in Taman Mayang, Petaling Jaya many, many years ago. 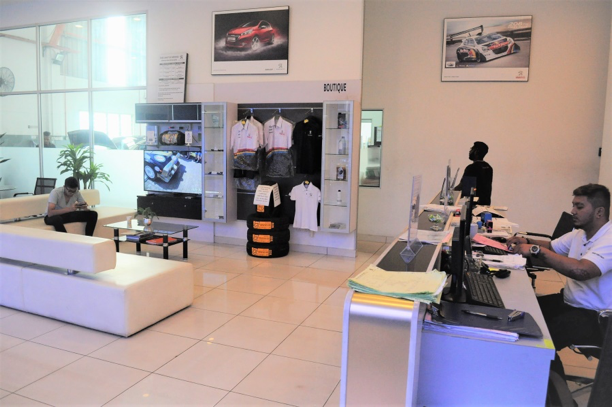 After they ceased operations, they retained the name to open this service centre here in Klang on the 5th of May 2015. A: Wow. That’s a catchy name which says a lot about the owners who I believe are car fanatics. E: Oh yes, they definitely are. And they’re astute businessmen. A: What about yourself? How many years have you been in this industry? E: Well, I worked in six countries with the Sime Darby Group, handling the operations and servicing, prior to joining UDH Ventures. After I finished my Form 5, I joined TAFE College in Seremban, and after that I joined Asian Motor, one of the biggest automotive companies in Malaysia back then, as a trainee for 2 years. After my stint there, I joined UMW Toyota and then BMW. At that time it was known as BMW Concessionaires; now it is called Auto Bavaria, which is under the Sime Darby Group. 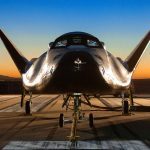 I was posted to Brunei, China, Saudi Arabia, Singapore to take care of all the after-sales business from ground up and to keep it up and running. I was there for 17 years. After that I joined the insurance industry for about 5 years doing motor claims and that is where I learned about automotive claims in totality. You can say I was semi-retired and then I got an offer to work here and my main motive is to make this a successful enterprise. This SUV gives you BIG BIG BANG for your Buck. Our Automologist test drives the Peugeot 3008. A: What is the market like for Peugeot cars here in Malaysia? E: Firstly, Peugeot cars are great cars. The brand is a very good brand. 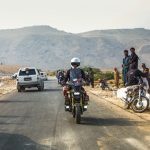 The perception that people have is that the cars are expensive, parts are pricey and hard to get, and many other complaints. Of course, at times you do get complaints and issues, which we are able to handle. But as a driver, you will find that Peugeot cars are a brilliant drive. And with superb designs and features in the newer models, the brand is surely getting into the public mind. A: How is the support from the principal? E: Starting from the training to ensure the service centre runs properly, I can say the support is good. Also, the marketing aspect of it is important and this is where the principal is playing a crucial role in helping spread the image of the brand. 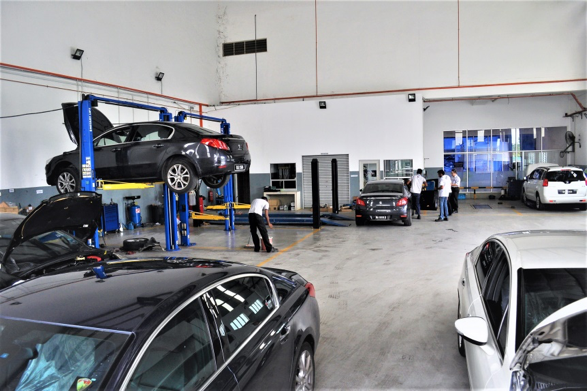 A: We understand that UDH Ventures is the highest rated service centre in Klang Valley. It won the Best Performing Outlet. How did you and the team achieve this feat? A: First and foremost, we needed to get everything running smoothly from the beginning—an SOP, so to speak. Once you have that, then you can implement the methods you’ve learned over the years to make it better. Customer engagement must be good: how we attend to a customer when they come in up to when they leave is important; the follow-up is crucial; the service turnaround time is important. We have to inform the customer what the issues are and how long will it take to complete the service as we don’t want them to be waiting for long periods. All these are key to shape a great after-sales centre. We also have our own in-house incentive programme for the team when we achieve group sales for the month. And this is not only for the sales advisors but for everyone: from the cleaning personnel right up to the head of operations. This motivates everyone to perform and help each other. The service bays can accomodate up to 20 cars per day. A: That’s great. Everyone feels part of a team. E: Yes, that should be the way to run a business whereby everyone has a vested interest to ensure the company or organisation prosper. 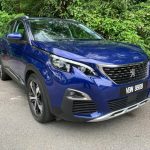 A: Peugeot has launched some eye-cathing models; 3008, 5008, 308GT. And the 3008 was twice a Dakar Rally Winner in 2016 and 2017. E: The cars are beautiful cars. You can see for yourself and the brand has a good reputation worldwide. The engines are good engines too. We have many customers who love driving Peugeot for many years, so there is a following. A: Let’s talk about the servicing side of things. How many cars do you service a day? E: Our throughput is around 20 to 25 cars a day. That’s not enough. Of course, not all come in for general service. Some come in for warranty claims or repairs. Right now our warranty claims are higher than our servicing figures. We need to turn it around whereby the servicing part of it takes up 70% and warranty takes 30% of the pie. That should be the way. A: Ok. How do you plan to do that? E: We are looking at purchasing or leasing the premise next door or one a few doors away. This will enable us to have extra space on top of the current the 10,500 sq. ft. We also intend to have satellite servicing outlets, possibly Segambut and Kota Kemuning, that will just focus on servicing to make it easier for customers. If there are major issues, then we bring those cars back to our main hub here in Klang. A: You also have a Shuttle service to and from AEON shopping mall to your service centre here. E: Yes, because of our location, we kicked off this service in the beginning of November. We have a scheduled shuttle service: when a customer comes in the morning, we send them to the shopping mall and two hours later, we have the shuttle pick them up and bring them back here. In addition, to the shuttle service, we also have a pick-up and delivery service. For example, if you are working in Subang or Shah Alam, which are far from our place, and you can’t come over to send in your car, you only have to make prior arrangements and we can pick the car up from your house. Also, we have two technicians who can come over and do the service points check at your home. 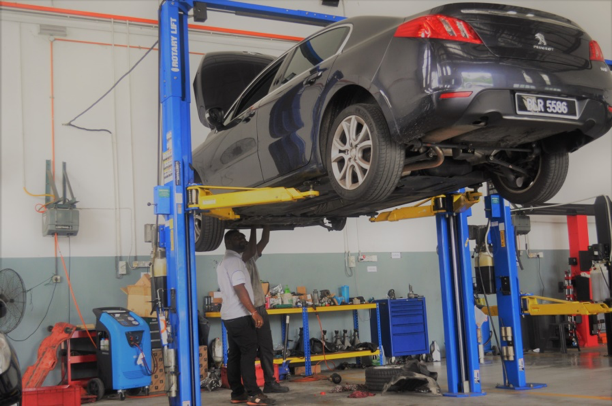 Some of the things we do here are wheel alignment and balancing, panel beating, spray painting, tyre and windscreen replacement, air-con servicing and insurance claims. A: There is also an Extended Warranty Programme for customers? E: Yes, there is. This is solely for vehicles that are registered between December 2011 to December 2015. Basically, all models of the Prince 1.6-litre naturally-aspirated and turbocharged petrol engines, except for the Peugeot 408 2.0 and Peugeot 508 Diesel. We cover the engine, gearbox and components linked to their operation, such as driveshaft and fuel and cooling circuits. The battery and anti-lock braking system sensors are also included. 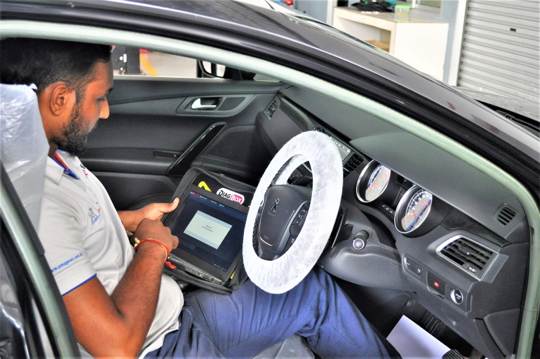 The customer will need to ensure that his or her car is serviced at our place, complete all recalls and follow the service intervals, which the vast majority of them do. All these efforts are to make it favourable for the customer. Everything is checked for complete peace of mind. A: It sounds really convenient for the customer and in turn your job becomes easier too. How many people do you have working with you? E: In total I have 15 staff: two service advisors, one customer relation officer, one warranty officer, one parts officer, two technical assistants, 5 technicians, one workshop controller, and few interns from colleges who come in for a 5-month internship and are given allowance. Basically, this is the human capital setup here. A: What is the training process? 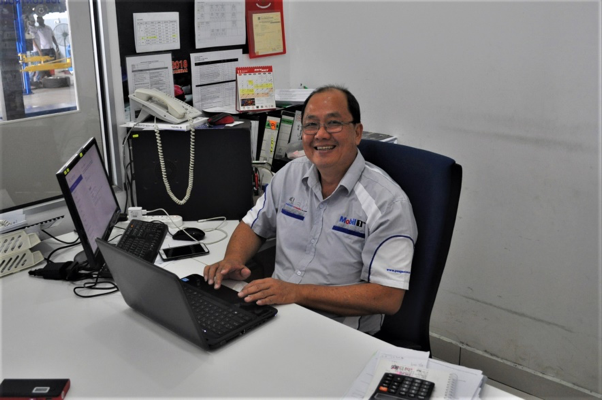 E: Generally, the principal, Nasim Sdn Bhd, has a training programme to qualify the technician, service advisor, master technician and even service manager. This is a great support from the principal’s end. A: So, what are the plans for UDH in the coming months? Proper diagnostics for your Peugeot. A: You have shared a lot about your setup here as well as your plans. Thank you once again, Mr. Elbert. The name ‘Under Da Hood’ is still ringing in my head. E: Haha. It’s an appealing name. Thank you for taking the time to come over and learn about our service centre. For more information, you can visit UDH Ventures Sdn Bhd at No 22a, Jalan Permata 2a/Ks9, Taman Perindustrian Air Hitam, Klang, 41200 or call : 03-3123 1220. Operation Hours: Monday – Friday: 8.30am – 5.30pm; Saturday: 8.30am – 1.30pm. Follow them on Facebook here.